Spectacular views like this are your reward for running one of the toughest races around! If you’re looking for an unforgettable race that will test your toughness and endurance, dazzle you with incredible views, and showcase the dramatic variety of landscapes and terrain that Oregon offers, one of your best choices is the Steens Rim Run. Set in the stark grandeur of Eastern Oregon’s Steens Mountain wilderness, The 36th Annual Chris Miller Memorial Steens Rim Run & Walk takes place on Saturday, August 4th. 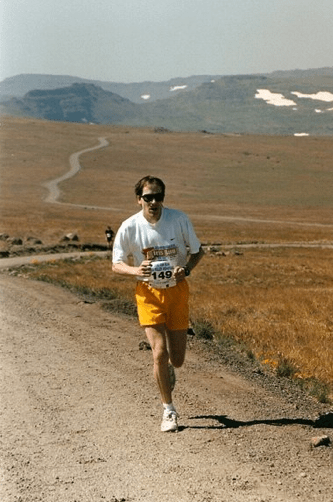 In 1987 the Steens Rim Run became a memorial for local runner Chris Miller, who ran the race the first four years. The 10k course takes runners and walkers along a section of the gravel Loop Road on the flanks of the mountain. The nearest town is Frenchglen, and in this part of Oregon, “nearest” is a relative term! The race starts at a wide spot at the side of the road, 1.5 miles above the Fish Lake campground and past Jackman Park, finishing at the East Rim Viewpoint at the very edge of the Steens, overlooking the Alvord Desert far below. Just when you think the course has been steep enough, you will reach the 5.9-mile mark and turn up the final abrupt climb along the side road to the viewpoint. Make no mistake, this is a challenging race. For one thing, there’s the elevation. The start is at over 7800 feet. And then there’s the constant climbing: The finish is almost 2000 feet higher than the start! So be prepared for thin air and lots of hills (or more accurately, one long continuous hill). Sometimes the weather can play tricks on you too. It can be hot (most years), but it can also be cold and windy. In 1999, it was 30 degrees and snowing, with 40 mph winds. I got hypothermia about a mile from the finish and DNFed. When I got back down to French Glen, it was sunny and 57. Joe Dudman finishing the 2002 Steens Rim Run in non-blizzard conditions. But don’t let any of that scare you off, because this is an amazing event that everyone in Oregon should experience at least once. The stunning vast views, the wildflowers, the green meadows, the mountain lakes and streams, the hawks (not buzzards!) soaring above, and, occasionally, the cattle running alongside you all make the Steens Rim Run a must-do event. Plus, Steens Mountain itself is a unique geological wonder, with its gradually sloping western contours and the abrupt cliff on its east side. The run and walk are separate events, each with its own start time. The walk has its own awards and course records, and is taken just as seriously as the run. Walkers cannot run, but runners can (and probably will) walk at some point. The course is point-to-point. Port-o-potties will be available at the start, around mile 3 and at the 5.9-mile mark. 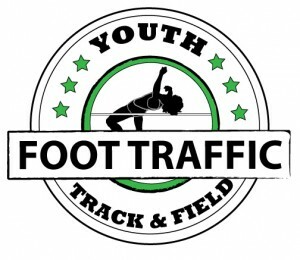 Spectators, family members, and friends can drive to the parking area near the 5.9-mile mark to cheer on the runners and walkers, and if you don’t have a “support crew” there are usually plenty of rides available back to the start after the race. 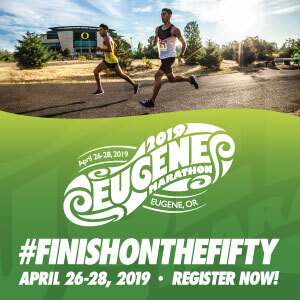 There is camping at various campgrounds in the area, and limited lodging in Frenchglen, but the nearest “metropolitan area” is Burns / Hines, over an hour away, so be prepared for an early morning on race day, and plan accordingly. This is one of Oregon’s (heck, the Northwest’s) toughest races, but it is also one of the most rewarding. It will take your breath away, in more ways than one! For more information visit the event’s FAQ page. The race takes place on the Steens Mountain Loop Road.